Erased is a unique intervention that engages C.T. 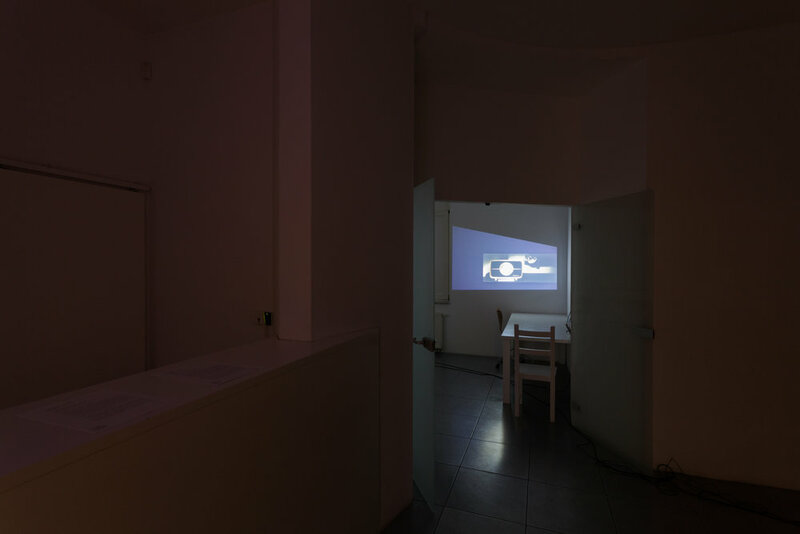 Jasper’s interests in the workings of cinematic narrative while also challenging the role of the art gallery. 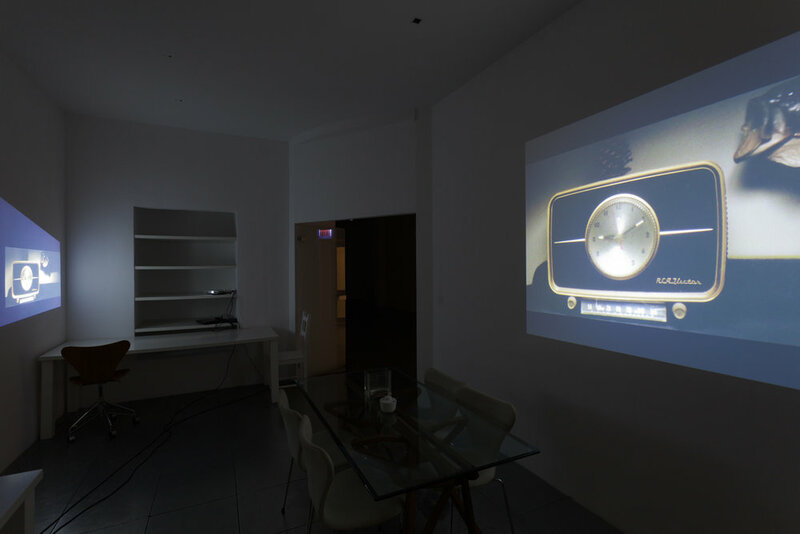 Occupying not only the gallery space but also the gallery’s office and staff room, this installation becomes the site of a three-channel video installation in which Jasper has performed interventions in two cult movies: David Lynch’s Blue Velvet and Volker Schlöndorff’s The Tin Drum. These videos include original footage of interiors and locations from which Jasper has removed nearly all traces of life, digitally erasing both the actors and the dialogue. What remains are austere, desolate shots that possess a haunting stillness; the set and architecture become the protagonists in his video. 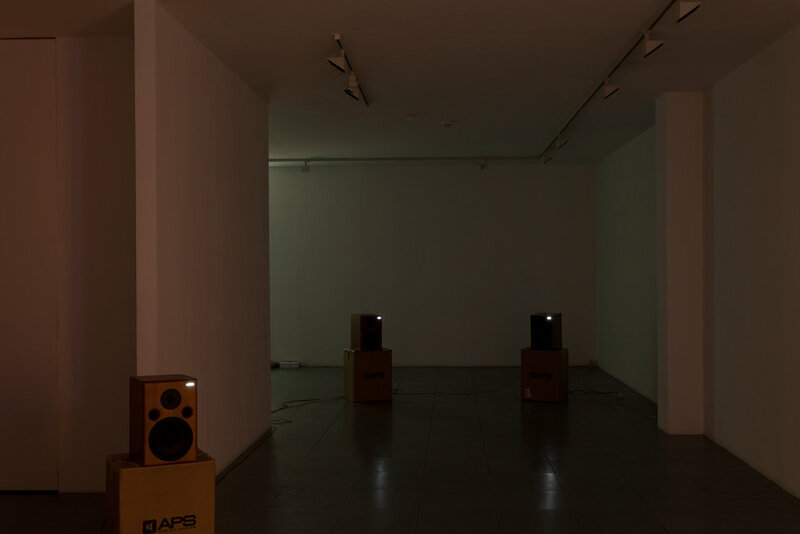 The audio is no less important, emitted from speakers propped up on cardboard boxes. 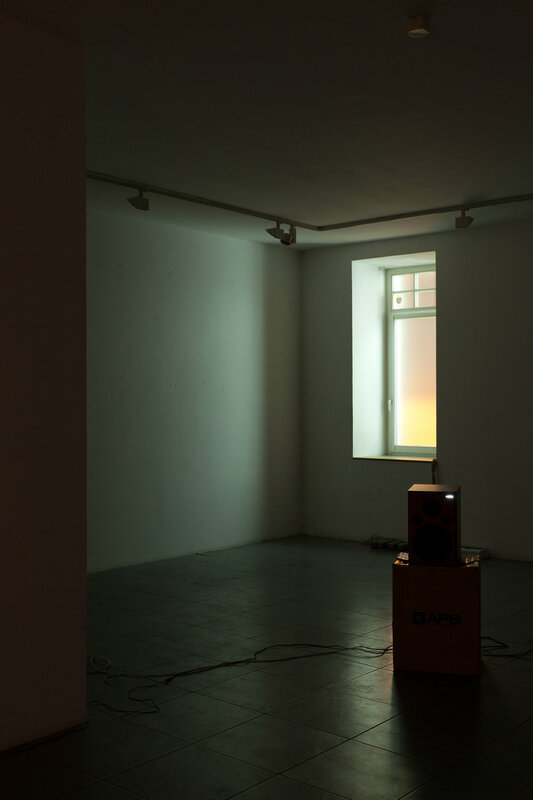 Ambient sounds – footsteps, knocking, the creaking of an opening door – interrupted by occasional bursts of music or incomprehensible shouts, work to heighten the viewer’s sense of estrangement. 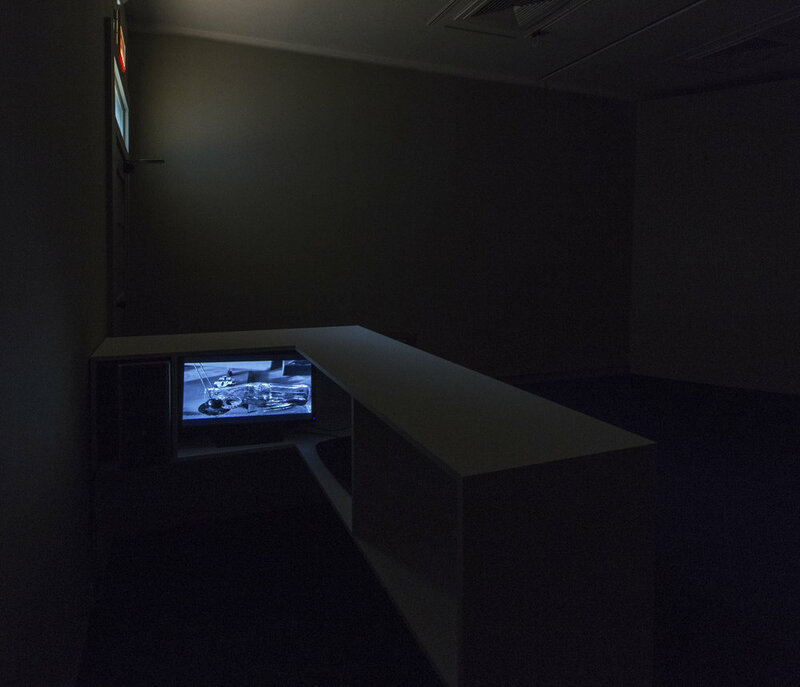 A third video in the exhibition is screened separately in the gallery’s staff room and presents looped footage from Stanley Kramer’s 1959 post-apocalyptic drama On the Beach. 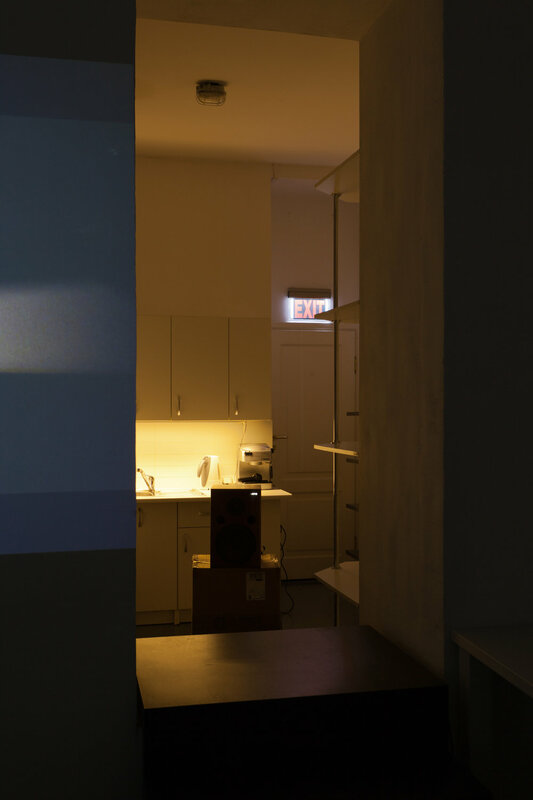 For this piece, the gallery space and its office and staff room were all completely vacated, and the intention behind this was to suspend all of the gallery’s activities for the course of the exhibition. 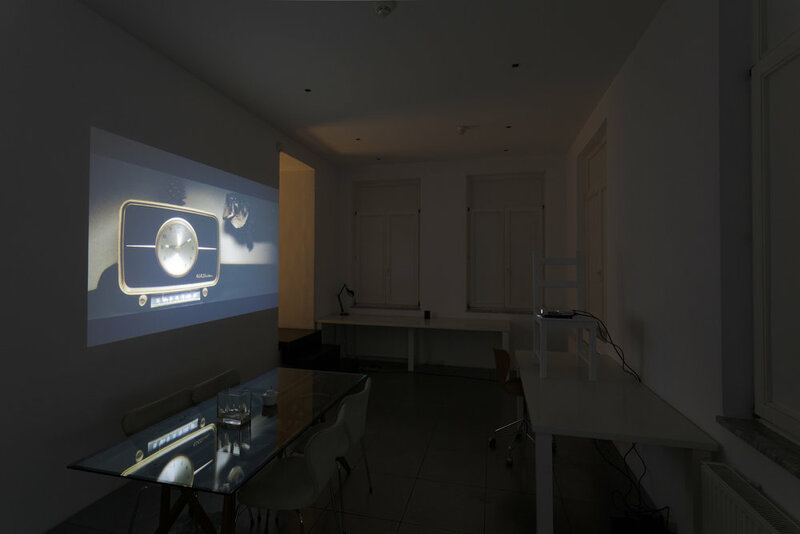 The office space became the exhibition space where the films were screened, and the main gallery room housed separately all of the audio equipment. Film space, office and gallery space then become one place in this installation, something between an empty cinema, a deserted film set location and a gallery. By peeling off the visual layers of landmark works of American and European cinema, Jasper doesn’t so much dissect the structure of a film itself, as the whole cinematic experience – laying bare the way in which we make sense of what we see and hear.